Buy the freshest, always authentic, adidas Japan soccer gear from SoccerPro. Get some of the most beautiful jerseys anywhere from us now! Since the J-League kicked off in 1992, the Nippon Daihyo have come a long way including making the World Cup last 16 as co-hosts in 2002 and again in South Africa 2010. As they have also been Asian Cup champions, earned a bronze medal at the Olympics, and a silver medal in the FIFA Federations Cup, Japan has certainly proved to everyone that they are a stand out team! With a lot of exciting talent like Makoto Hasebe, Shinji Kagawa, and Yuto Nagatomo in the ranks, the Blue Samurai will certainly continue to be a threat in world football. 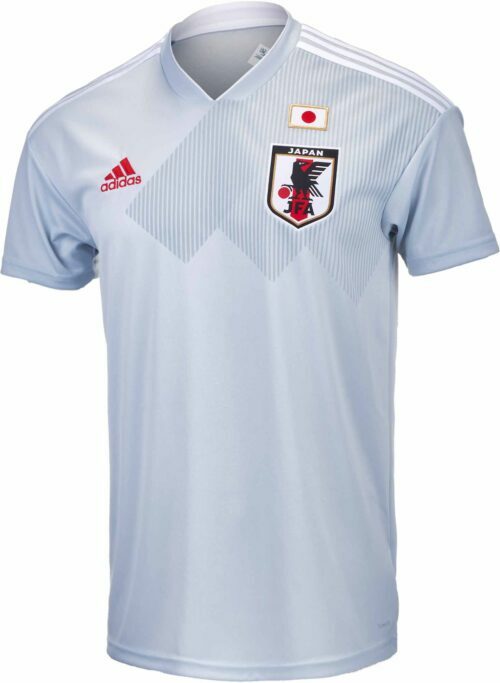 Now you can cheer on Japan day or night, rain or shine, in all of your Japan jersey from SoccerPro.com as they take on the world!